Graham M. Schweig’s translation of the Bhagavad Gita—the “Bible of India”—is an elegant, highly accessible version of one of the most important sacred scriptures in world religion. This beautiful translation of the famous conversation between the Hindu god Krishna and the young prince Arjuna includes a glossary, a pronunciation guide, and expert commentary for greater ease of understanding. 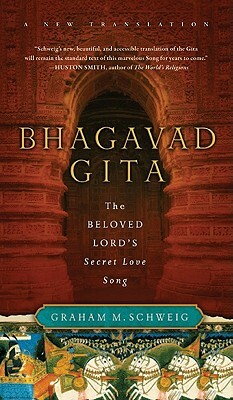 Graham M. Schweig is the author and translator of Dance of Divine Love: The Råsa Lîlå of Krishna. After completing graduate work at the University of Chicago and Harvard University, he became associate professor of religious studies at Christopher Newport University and visiting associate professor of Sanskrit at the University of Virginia. Schweig was recently a Visiting Fellow of Hindu studies at Oxford University, and has been accepted as a Visiting Fellow at Cambridge University. He has traveled to India several times where for one year, under a Smithsonian Institution-funded grant, he researched ancient handwritten manuscripts. Since an early age, Schweig has practiced various forms of meditational and devotional yoga. There are no products in your shopping cart. If you have difficulty accessing content on this website, please contact us at 662-236-2262 and we will strive to assist you in accessing our website.